From: Palencia but living in Madrid. Jorge Medina is one of the pilots of www.tecnoepoxy.com and one of the designers of the Latigo. He studied Industrial design tecnical engeneer. 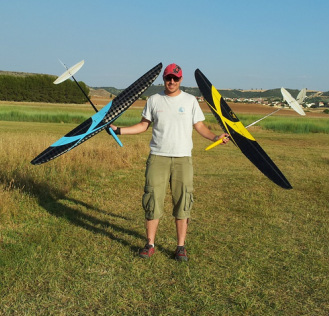 And works as UAV pilot and also in tecnoepoxy as designer for airframes and mecanical solutions. He used to fly in competition since ade 12 until today. His bests results come frome F3K, F5J, and also F3F, and other specialities as F3P and others.